Gazebo Film is a Tokyo based production company. Established in 2007, we have produced numerous projects including feature films, commercials, promotion videos and documentaries. Contemporary industry trends have pushed the boundaries to where exceptional drive, flexibility and ingenuity are essential to ensure that creative ideas are realized to their full potential. Our primary focus is problem solving and ensuring the production of quality results and guarantee our client’s needs are met. Nobuyuki Bob Miyake was born and raised in Kyoto, Japan. 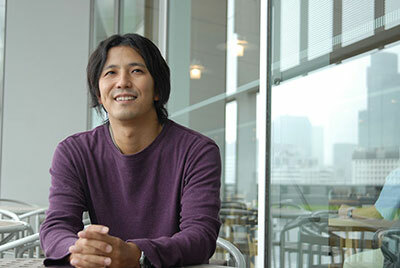 After graduating from Doshisha University, he worked at an advertising company named JWT Japan. There he produced TV commercials for Disney, Kraft, and Rolex. Then he decided to change his career and came to New York to pursue his career as filmmaker. While attending MFA program at City College of New York, Nobuyuki started working as a film director and a cinematographer. He also became an assistant camera and had a lot of experience in large-scaled productions. After coming back to Japan, he directed short films and won several awards and he received a grant to make a feature film. “Lost & Found” became his first feature project, which won the Best Picture Award at Austin Film Festival 2008 and shown in many festivals. While he worked as a film director, he established a production company, Gazebo Film in 2007. Then he produced and directed a lot of promotion films. Foreign productions selected Nobuyuki as a fixer for the coordination of their production team. © 2014 Gazebo Film Inc.